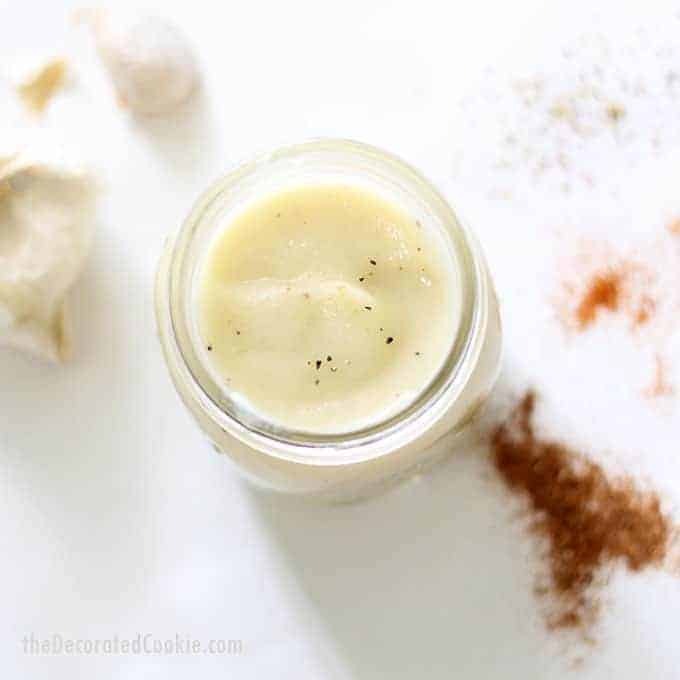 This vegan cauliflower cream sauce is super-healthy and super-easy to make and tastes delicious. Similar to a cauliflower “alfredo” sauce, it’s perfect to top pasta, vegetables, or to eat as a soup. Oh. My. Word. 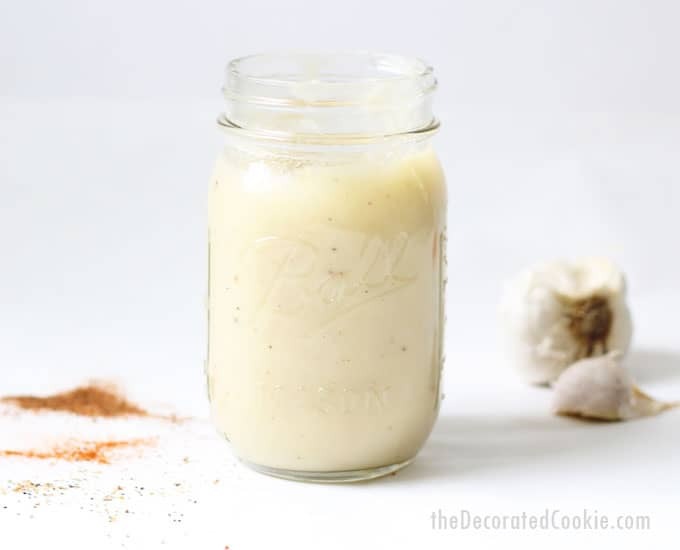 This cauliflower cream sauce is so freaking delicious I usually just sit and eat it straight from the jar. (I confess, I’ve also added some more broth and just called it soup.) And the “cream” should be in quotes because there’s not actually cream in the recipe. It’s all cauliflower. Healthy. All healthy. Not to mention there’s a vegan option. It’s perfection. I make it about once a week now–sometimes twice–because I just can’t stop eating it. 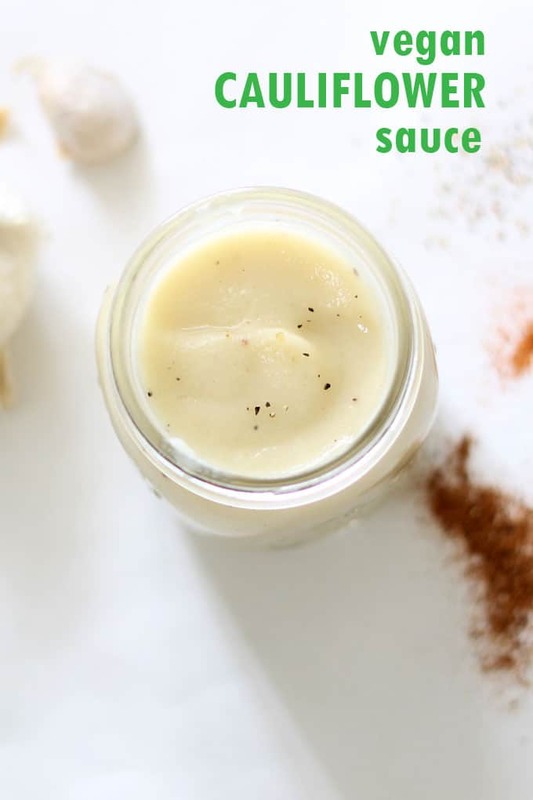 Serve this sauce over pasta (my favorite way, use this sauce as a substitute for alfredo) or rice, over potatoes, over chicken if you’re not going the vegetarian or vegan route, or other vegetables such as broccoli or carrots. Or, as I did, eat it straight up as soup. Because it’s so freaking delicious! I know many are averse to the whole cauliflower thing, but the flavors in this make it addictive. I do think the secret to the ultra-creamy consistency of this sauce is the blender. You need a good, strong blender. 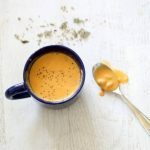 I’ve made it before in my food processor and it just was fine, but it just wasn’t quite as creamy or perfect as when I make it in my smoothie maker. (We have a Ninja Pro Blender). The secret to the awesome taste I took from my mom. She makes her traditional white sauce — with butter, flour, and milk — with cooking sherry and nutmeg. So I tried adding those to the cauliflower. It worked. Using a bag of frozen cauliflower makes things worlds easier, too. No cutting or cooking or prep work involved. Just add some stuff to a blender, give it a whirl, heat it up and you’re ready for dinner! It takes minutes to make. 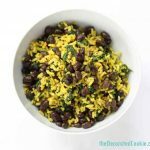 If you like this, check out this roundup of cauliflower substitute recipes. 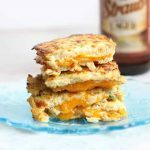 Or try my cauliflower grilled cheese. Steam the cauliflower in the microwave according to package directions. Let cool a bit. 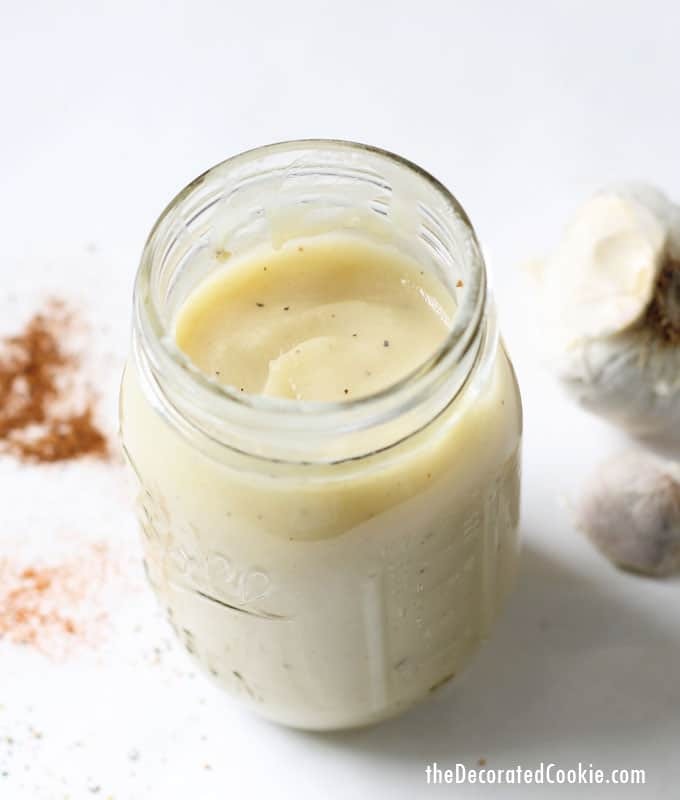 In a good blender, such as the Ninja Pro, blend the cauliflower and garlic cloves with 1 cup of the broth. In a medium saucepan, heat the olive oil. Add the cauliflower mixture. Whisk in the sherry, nutmeg, peppers, and salt. Heat over medium until bubbly, then simmer on low for a few minutes. Add additional broth, if needed, to desired consistency (you may need more than an additional 1/2 cup to create soup). If you like, sprinkle some Parmesan cheese in the sauce and stir until melted (optional). Serve with pasta or over chicken or vegetables. May also be thinned and served as soup. In a medium saucepan, heat the olive oil. Add the cauliflower mixture. Whisk in the sherry, nutmeg, peppers, and salt. Heat over medium until bubbly, then simmer on low for a few minutes. Add additional broth, if needed, to desired consistency. If you like, sprinkle some Parmesan cheese in the sauce and stir until melted (optional).